Attending World Pride without the club nights! 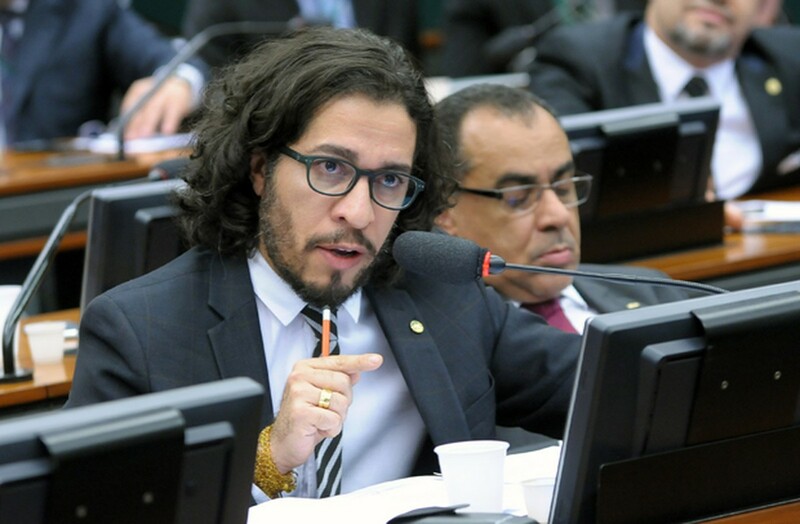 Brazilian Congressman Jean Wyllys – who became the first openly LGBTQ person to serve in the National Congress of Brazil in 2011 – announced he has left the country and will not return because of increasing death threats against him. Wyllys is a frequent target of attacks from the notoriously homophobic and recently elected Brazilian president Jair Bolsonaro – and allies of the president are widely believed behind many of the death threats. In March of last year, Wyllys’ political ally and close friend Marielle Franco, a city councilmember in Rio de Janeiro outspoken on LGBTQ rights, was shot and killed. Yesterday it was announced that the suspects in her killing were members of a death squad linked to President Bolsonaro’s son. Wyllys was reelected late last year and was set to begin a third term next month until his resignation announcement this afternoon. He went on to say at the conference: “In 2016, there was a coup against the government that introduced a new hegemony that is homophobic, and racist, and sexist. After that coup, the new government has sought public support by trying to convince the population that corruption is not the primary problem – the primary problems are gays, lesbians, and women. It’s made life very difficult for LGBTQ people and activists trying to make change.” The coup he refers to is the impeachment of former president Dilma Rousseff. “President Bolsonaro is among the most bigoted elected officials in the world and his poisoning of Brazilian politics has empowered and emboldened the homophobic forces targeting Jean Wyllys,” said Mayor Annise Parker, President & CEO of LGBTQ Victory Institute. “Jean fearlessly pushed for LGBTQ equality legislation despite violent opposition from extremist lawmakers who threatened violence and worse, but with the increasing death threats, we respect his decision to seek safety. Fortunately, Jean’s example and historic election in 2011 inspired many more openly LGBTQ Brazilians to seek elected office in city councils and legislative assemblies across the nation. His legacy and impact cannot be erased and we know he will find new ways to continue the fight and make Brazil a better country for LGBTQ people and other marginalized communities. LGBTQ Victory Institute’s international program works to increase the participation of LGBTQ people in the democratic system of their country in order to advance equality. Its next International LGBTI Leaders of the Americas Conference will be held in Bogota, Colombia in May, and more than 300 people are expected to attend. LGBTQ Victory Institute works to increase the number of LGBTQ people in public office and to provide programming, service, and other support to ensure their success. Queer Forty writing staff work hard to bring you all the latest articles to help inspire and inform. If you have a news story you’d like to share with us, email the Editor by clicking here. Queer Forty is a Bear World Media Inc brand, visit www.bearworldmedia.com for more info. Copyright © 2019 Queer Forty. All rights reserved.